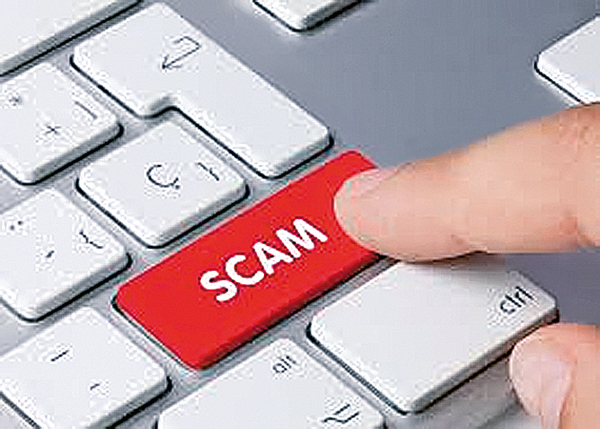 Several top businessmen engaged in import and export of goods have lost millions of rupees due to an internet-related fraud. At least Rs. 140 million (US $ 1.7 million) have been defrauded from 12 businessmen by an unidentified gang, who hacked the businessmen’s emails and computers to obtain sensitive financial and trade details. Computer Emergency Response Unit senior engineer Roshan Chandraguptha said his organisation had instructed the 12 businessmen who had lost at least Rs. 140 million to lodge complaints with the Police. “We received 12 complaints on such financial scams and the unit directed the victims to lodge complaints to the Police as the unit has no authority to take legal action with regard to this,” he said. Chandraguptha said the financial scams occurred after entering an unknown third party between two business partners who do their business via emails. Most businessmen who do their businesses with business partners broad use emails to order their goods. When they send the order they receive emails from the other party by mentioning the bank account and the amount of money that they need to pay for that order, he said. “According to most victims, they suddenly received an email from their business partner with a new bank account number by mentioning that he or she has changed the bank account. Due to their confidence in their business partners, most businessmen deposited the money to these accounts without verifying the information,” Chandraguptha said. The senior engineer urged the public to be vigilant when making financial transactions via emails and to verify the information regarding the change of account numbers, mobile numbers or any other information receiving from their business partners or to use other social media sites such as ‘WhatsApp”, Facebook, Twitter, etc. to deal with the business partners without depending only on emails as these racketeers cannot hack all these sites at once.